As workplaces become more and more digital, diverse and scattered, internal communications are facing challenges at an accelerating speed. The emergence of digital services has brought us new ways to communicate and measure the success of our communications, and the importance of social media and internal platforms has altered the way we communicate with each other. In 2025, it is estimated 75 percent of the workforce will be comprised of millennials. We are seeing a new, tech-savvy generation to take over the workplaces, and ensuring internal communications tackles the challenges of cross-generational workplaces. 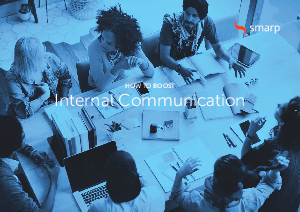 Effective communication correlates with high employee engagement, and companies who invest in communications are companies who understand the importance of an engaged workforce. Organizations with effective change and communication are 3.5 times more likely to significantly outperform their peers. With significant changes occurring in workplaces and trough that, in internal communication, what can companies do to learn and adapt?